THE BIBLE- Basic Instructions Before Leaving Earth! Forsaking All I Take Him. FAITH is Food Always In The House! AMEN! THE BIBLE IS MORE THAN JUST A BEST SELLER BOOK! A BLUE PRINT– The BIBLE is the BLUE PRINT of God’s Plan and Purpose for Man. It is revealed within the pages of Genesis to Revelation. It is the history of man’s beginning and his ending. God is the Master architect and builder in whose hands are the details of His Eternal Kingdom that He is preparing for all those who choose to be a part of it. A MAP- As a MAP, A MASTER MAP, the BIBLE connects where man originated and migrated with races and nations of people, tracking them to the present day on current geo-political maps. The Bible is as current as today’s world news, so that careful study of the prophetic books and warnings of Jesus Himself tell us exactly what is happening in the world. Briefly, the Bible describes the breakdown of society and man’s leadership; what is yet to come; the location of the final world war and line up of nations that will side against Israel, and where the largest world assembly will be held at the end of man’s rule (Zech 8:3; Micah ch. 4:1-2). A COMPASS AND GPS (Global Positioning System)- The BIBLE serves as our COMPASS to point us in the right direction. It is important to know how to read a compass correctly or you will get lost! When I was a teen, our family went on a cross-country trip in the U.S. Shortly after we started out we went 100 miles off course because of not holding the map right and having the compass needle pointing to True North. A compass is needed to show the way to our destination. Making wrong choices will result in wrong turns, dead ends, obstacles and getting into strange and/or dangerous situations. So the compass works together with the map to get our bearing 1)to see where we are, and to know which direction we’re headed to get where we want to go. The GPS of the modern age of technology allows us to use our car or iPhone to follow a route to a desired location. The GPS game, ‘Geo Caching’ that is played all over our island and world-wide is a fun, hide-and-seek game of treasure hunting. Our family has had a lot of fun going to unusual places all over the island of Oahu to find some of the treasures by following clues from the Internet. God’s COMPASS/GPS are very exacting, essential for going on a treasure hunt, looking for the blessings and rewards He has for those who love and obey Him. Our clues are found in the Word of God, the Bible. It is God who sets the standards and we have to go by His game rules. The wonderful thing about the Bible is that as a map and compass and GPS, it helps us to find our way to God and eternal life. Without the Bible, we would all be lost! We need to not only READ, but also STUDY the Bible to meet God’s approval, and not be ashamed of lacking understanding of God’s expectations of us. Do you want to be BLESSED? Then read your Bible and meditate on the scriptures! 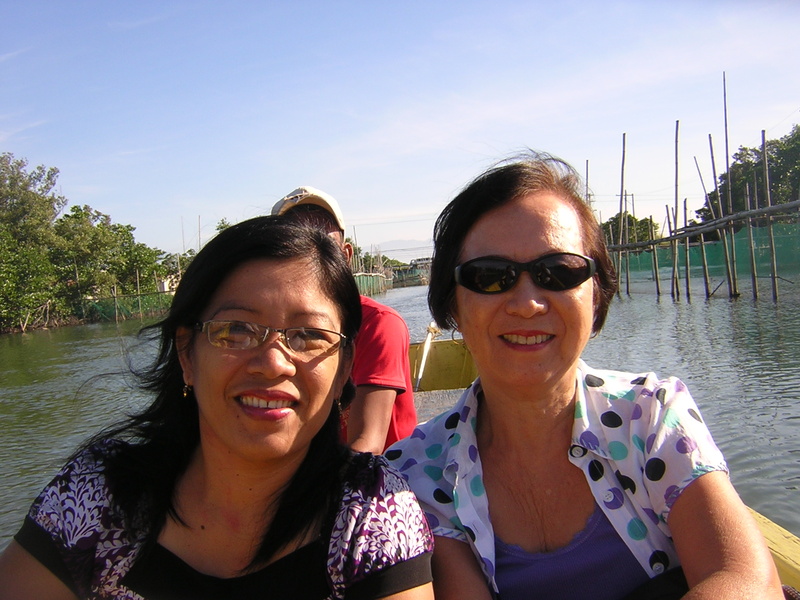 Edited post on Philippines Mission- This is being reblogged because I noticed the photos got separated from each other when I did the post in 2012. Going by boat to the small island of Pugaro. Me on the right accompanied by a pastor’s wife. I’m the guest speaker for the Sunday service. I’ve preached there a number of times- a lot of youth and old folks faithfully await the infrequent visits of American missionaries to encourage them in their faith. 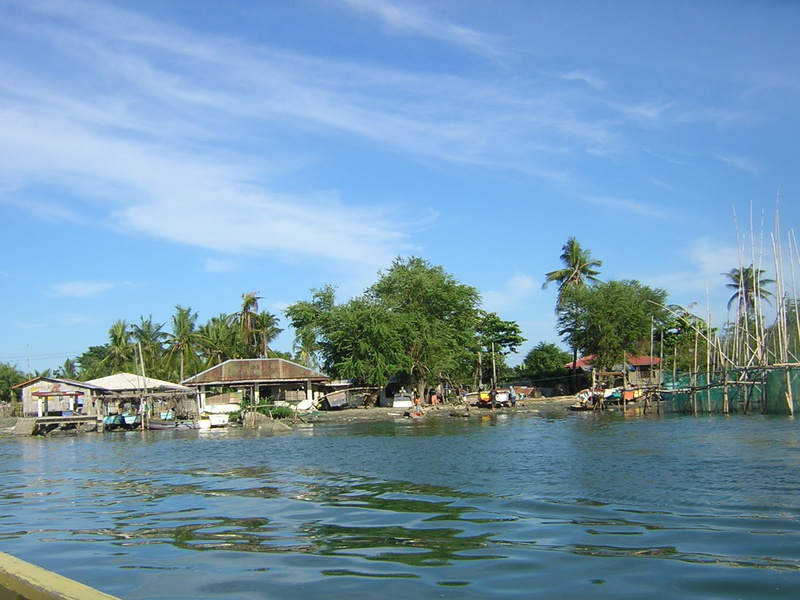 The island is near Dagupan City. The church is very humble with open air windows and the folks are happy to have an American missionary bring them a fresh Word from God. I often give strong words of exhortation to be faithful to God in their daily living, etc. and pray for their needs. Then after church I will have a lunch of milk fish/bangus and vegetables with them!